Give your tasks a status (For example “On track”, “Going well”… “Problem”, “Open”, “in progress”. Task Statuses are fully customizable. You decide what your statuses are called. 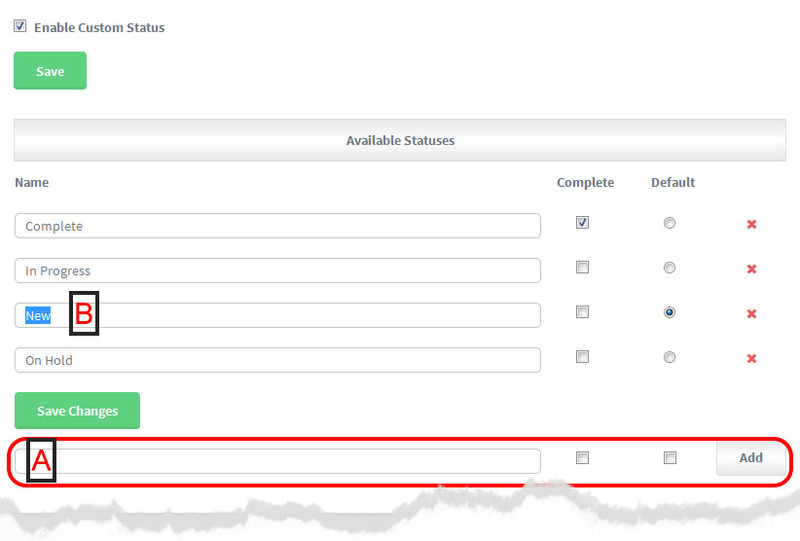 You can use this feature for a wide range of purposes, for example tracking sales. This is set at project level – first you have to allow the feature in each Project Options. Note: When Task Status is turned on the “DONE” column in that project changes to “Status”. You can see the task status in the Status column next to each task in the List Views. 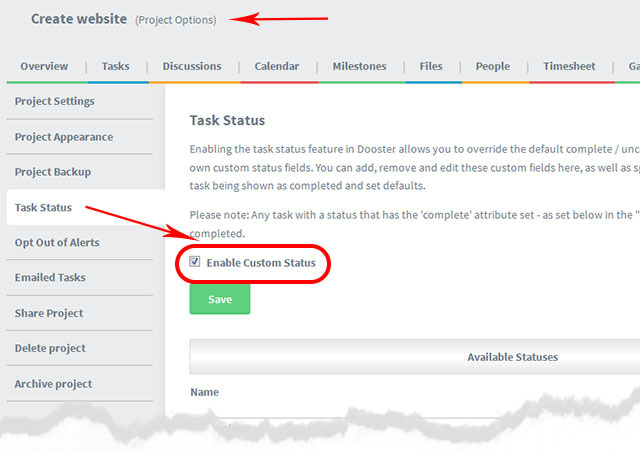 Please note: Filtering by Task Statuses can’t be done on the Dashboard ie “Combined Projects Overview screens” because they are project specific. However you can filter by task status within a project eg go to “Project Overview” or “Project Task Lists” and use the filters.